Sandy Livnat, Ph.D | Browdy and Neimark, P.L.L.C. Dr. Sandy Livnat ‘s practice focuses on the biotechnology and biomedical patent areas, including patent preparation and prosecution, opinion work, licensing and client counseling in intellectual property matters. He “re-joined” Browdy and Neimark in 2006 after having spent several years with the firm as a patent agent while attending law school. Dr. Livnat spent 17 years in basic and applied biomedical research, including 11 years as faculty member at several medical schools and research institutes. His background combines a substantial career in basic and clinical academic science with patent law experience. In representing academic clients or interacting with academic entities on behalf of business clients, Dr. Livnat has a keen appreciation of concerns and pressures on the various players. He knows how to make the “patent process” relatively painless for scientists/inventors by translating and digesting communications from the PTO into an easily understood form. His relationship with inventors (almost as “equals”) promotes the development of mutual respect and understanding that adds to the pro-activity and efficiency of his service. Dr. Livnat has prepared and prosecuted U.S. patent applications in immunology (immunotherapy, vaccines, monoclonal antibodies, autoimmune diseases, cancer diagnosis, other diagnostics); angiogenesis and its modulation; genetic engineering (manipulation of antibody genes, proteins, production methods, mutation detection); gene therapy (stem cells, disease treatments, vector delivery); genetically modified mice (transgenic, knockout); genomic, proteomics and microarray technology; virology (HIV/AIDS, receptors, diagnostics), neurosciences (nerve regeneration, brain imaging, neurodegenerative diseases such as Alzheimer’s & Parkinson’s); microbiology and infectious disease (early diagnosis of TB, TB vaccines, bacterial toxins as tools or targets, bacterial superantigens as anticancer drugs, protozoal diseases); biochemistry/medicine (oncogenes and growth factors, signal transduction pathways, polyamines as drugs and probes, high throughput assays, wound healing compositions); medicinal and pharmaceutical chemistry (drugs); and plant biotechnology. Dr. Livnat’s practice includes the prosecution of foreign patents around the world, including appeals and oppositions in Europe and elsewhere. He has conducted patentability investigations, state-of-the-art searches, infringement analyses, computerized and manual patent and literature searches; prepared opinions on patentability, validity, infringement, freedom-to-operate in areas such as stem cell technology, blood diagnostics, immunoassays, anti-angiogenic agents, enzyme reagents in molecular biology, gene therapy methods, and manufacture of frozen confections. He has also performed due diligence investigations leading up to public offerings on behalf of underwriters, offerors and purchasers in genetic engineering platform technologies, anticancer immunotherapy, AIDS drugs, antiviral agents, transportable sterilization facilities. He prepared the intellectual property sections of a public offering prospectus for a startup Australian drug/biotech company. While at previous firms, Dr. Livnat also assisted clients with the intellectual property aspects of high profile BioDefense projects involving vaccines, therapeutics and diagnostics in collaboration with the firms’ Government Contracts and Public Policy practice groups. He also participated in litigation matters before the International Trade Commission and federal courts. Dr. Livnat is an author of over 60 scientific publications in immunology, immunogenetics and neuroimmunology which have appeared in peer reviewed journals, as review articles and as book chapters. He has spoken at numerous regional, national and international scientific meetings and symposia. During his academic career, he served on several federal and state government advisory groups and was on the editorial board or was a reviewer for a number of scientific journals. Dr. Livnat has organized and chaired special symposia on patents, licensing and sponsored research at annual meetings of the American Association of Immunologists (AAI). 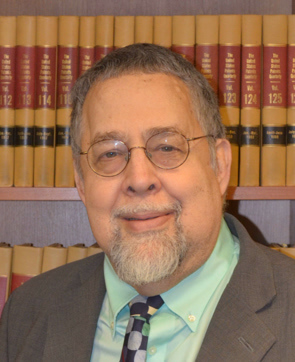 He has been a member of many legal and scientific professional societies including the American Intellectual Property Law Association, Association of University Technology Managers, the AAAS and the AAI. Dr. Livnat is fluent in both Hebrew and English.